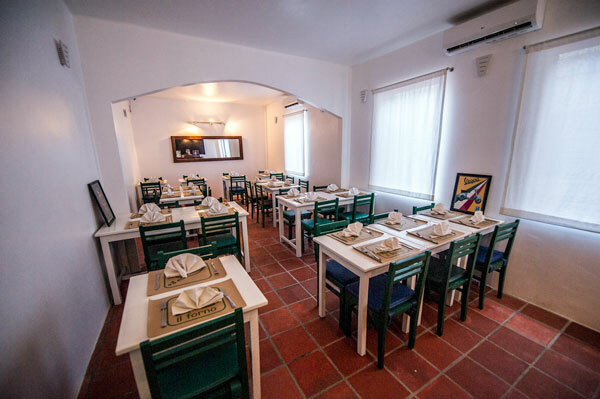 Tucked away in a charming little alley just a few steps away from bustling Pub Street, il forno is the perfect place to relax and unwind with great wine, authentic Italian cuisine, and all your favourite people. Modeled after an old Trattoria, a traditional Italian restaurant, il forno is the perfect place to enjoy your favorite Italian cuisine. Using only the best and highest quality ingredients, local herbs and fresh fior di latte mozzarella garnish our pizzas before they are fired in our traditional Neapolitan wood-fired oven. With consistently fresh, locally sourced ingredients and an extensive and carefully selected wine list, il forno’s ever-evolving menu is a constant draw and remains a firm local favorite. Try our chef’s latest delicious offerings, available on our Weekly Specials menu! Our new air-conditioned private room is now open for reservations. From a celebration with loved ones or hosting your next company’s annual dinner, we have the perfect space for you. With special customized menus designed to please every budget, get in touch with us to find out how you can host your next event at il forno!. When Ed first visited Cambodia he kept finding reasons to stay just a little bit longer. The more time passed, the more he missed his grandmother’s cooking. From Bergamo in Northern Italy, the recipes featured at il forno are simple, traditional and 100% Italian. Five years after opening its doors, il forno has become a requirement for visitors to Siem Reap – tantamount to Angkor Wat and Ta Prohm, the set of Lara Croft’s latest film adventure. One of the things that brings people back — other than our beloved Specials Menu — is our warm, welcoming and impeccably trained staff. And, of course, freshly grated Parmesan. Modeled after an old Trattoria, a traditional Italian restaurant, Il Forno is the perfect place to enjoy your favorite Italian cuisine. Try our classic wood-fired oven pizzas, famous hand-cut pastas, or simply indulge in our homemade desserts – no one leaves Il Forno hungry! Whether it’s a celebration for your loved ones or an important business luncheon, we have just the right space to meet your needs. Get in touch with us to find out more about our private dining rooms and our special customized menus designed to please every budget.